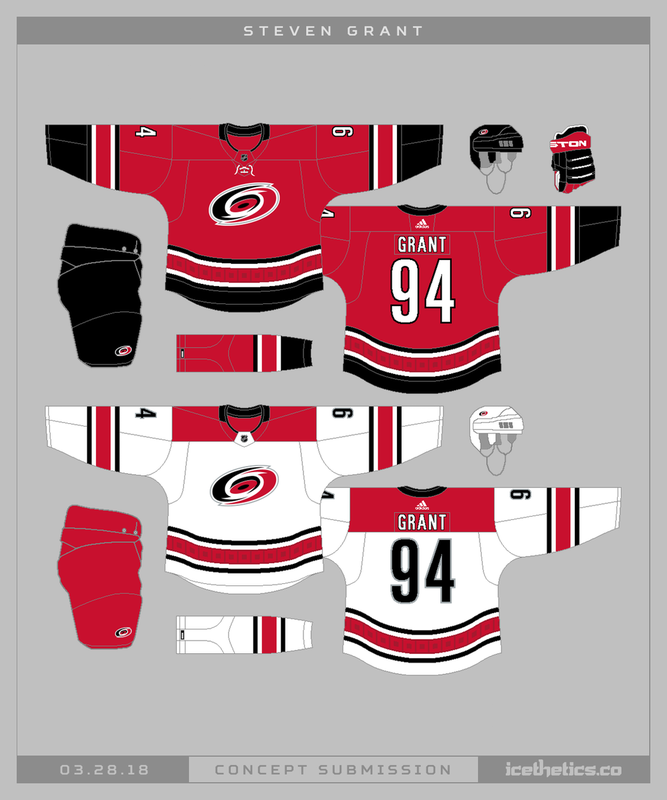 Steven Grant went a little wild with the Carolina Hurricanes in this one. Looks like he took a page out of the Panthers’ book by moving the sleeve numbers to the shoulder to allow more space for a secondary logo treatment down the arms. Steven Grant may have a crystal ball. 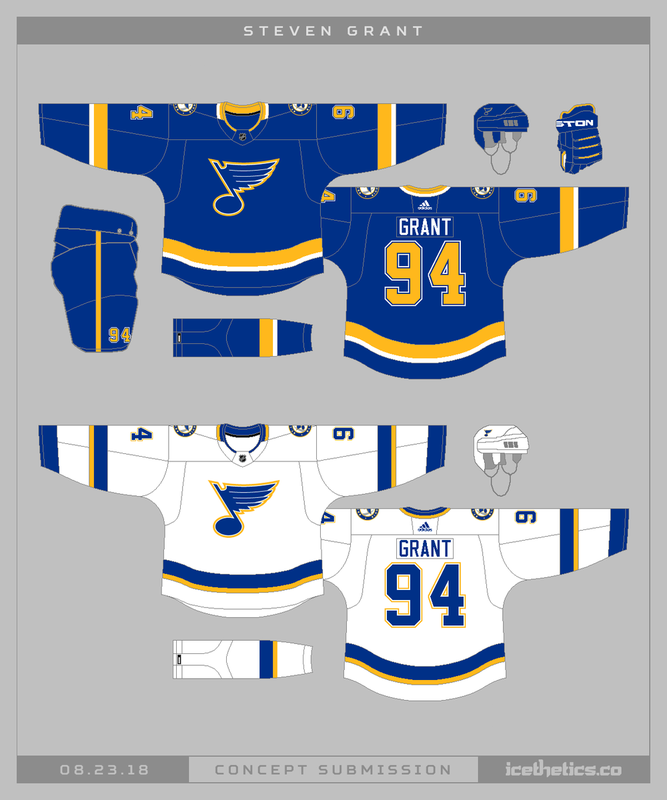 Don't be surprised to see something like this when the St. Louis Blues unveil their new third jersey this weekend. The warped Blue Note may not be in the cards, but nostalgic nod to the past probably is. The reveal of the 2019 Winter Classic jerseys is likely right around the corner. Can't wait to see what's coming but I'm not sure it can beat what Steven Grant has put together. I think the Ottawa Senators have more incredible fan-made concepts on this site than any other team. Steven Grant nails it. The Sens may not be getting a new look anytime in the near future, but when they do, the great options abound. Anyone else wondering why the Hurricanes still don't have matching home and road sweaters? Steven Grant is with you and offers up this fix.